If you’re a retiree and you’ve had trouble qualifying for a mortgage or refinancing a home loan because of insufficient income, you might want to try again. A rule change at Freddie Mac allows Individual Retirement Accounts, 401(k)s, and other such income to be considered for underwriting purposes. Though you’re not required to tap that money to qualify for a mortgage, such accounts are taken into consideration when measuring your debt-to-income ratios. For more information, see http://articles.latimes.com/2013/may/24/business/la-fi-harney-20130526 and http://reversemortgagedaily.com/2013/05/28/mortgage-lending-eases-for-retirees-under-freddie-mac/. If you’ve got the income. If you’ve got plenty of tenure on the job. If your credit is solid. If you can otherwise pass muster at the mortgage loan desk. If it’s cheaper for you to buy than it is to rent. Yes, there are lots of “ifs,” but it’s one of the best times in America to buy a home. And it won’t last forever. Distressed homes – foreclosures and short sales sold at deep discounts – accounted for 34 percent of February sales, according to the National Association of Realtors (NAR). The bargain basement is open for business. Investors know a party when they see one. They snatched up 64.5 percent more homes in 2011 than in 2010 and now account for nearly one in every four homes sold, NAR reported. The second home market is back with a vengeance. Both investors and playhouse buyers are jumping on this bandwagon. They pushed vacation/second home sales up 7.0 percent in 2011. Meanwhile, owner-occupied purchases fell 15.5 percent last year. And then there are those record low interest rates. Don’t get behind the curve and wait until a line forms and multiple offers are the norm, rather than the exception. Be mortgage ready. If you haven’t already, check your credit reports from the only federally-sanctioned source of free reports, AnnualCreditReport.com, to make sure your credit is mortgage worthy. Don’t get taken by sound-alike websites that offer you “free” credit reports that are only “free” after you buy a credit monitoring service. Know all your costs. More than just a mortgage payment, homeownership comes with insurance, tax, utility, maintenance and transportation costs, among others. Include them in your budget to determine what is truly affordable. Know your mortgage. Fixed-rate mortgages (FRMs) offer payment certainty, while adjustable rate mortgages (ARMs) frequently provide lower initial monthly payments, but those low rates could rise considerably over time. Work with a trained homeownership advisor to help get the right mortgage loan. Hire good help. Get a licensed real estate agent who knows the market. It’s easy to go digital and browse for housing. Actually going through the process and closing on a home without professional assistance is something else. Ask any FSBO (for sale by owner). Take your time. There may be some pressure to get in the market at today’s affordable prices and low interest rates, but if you move too quickly, it could be a mistake. Take the time to obtain a home inspection, learn the neighborhood, investigate the school district. Buy only what you can truly afford, not a home based on the largest loan the lender will lend. (ARA) – The arrival of summer has many homeowners outside planting, preparing the patio for cookouts, and taking evening strolls through the neighborhood. Often, this extended outdoor time brings on a desire to improve a home’s curb appeal. But home improvement projects can be expensive, and many homeowners are still wary about spending money on renovations, despite the improving real estate market. So what’s the best way to spruce up the appearance of your house without breaking the bank? There are many budget-friendly exterior changes that will make a big difference in curb appeal. A fresh coat of paint can work wonders, whether it’s applied to the entire house or just on the front door. If your house is painted a neutral color like white or cream, be adventurous and try an energizing red or soothing aqua on your front door; the pop of color will add appealing interest. While a landscaping overhaul can be very expensive, window boxes or planters are an easy and cost-effective way to add natural beauty to your home’s facade. Learn how to build a container garden that will provide extra dimension and color to a front porch or patio. Take a look at your house from the street. Do your windows look bare? Try adding shutters, but make sure they are appropriately sized. Buying shutters that are smaller than the windows they flank is an all-too-common mistake homeowners make, which leads to the windows looking disproportionately small. 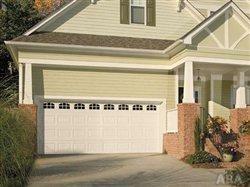 And if you have a garage, don’t overlook the importance of a good-looking garage door. A garage door can account for up to 30 percent of a home’s exterior that is seen from the street, so having an attractive one is vital to good curb appeal. But, like shutters to a window, a garage door should be appropriately matched to its house’s architectural style. Not sure which door fits your home the best? Try out the handy Door Designer tool at www.amarr.com, which lets you choose from six different home styles and then matches an appropriate garage door based on that style. Of all these budget-friendly improvement projects, a new garage door will give you the best return on your investment and provide the most value for your home. Over the last few years, surveys conducted by the Remodeling Cost vs. Value Report indicate that installing new garage doors has been the project moving up the most in the rankings. Most people, to some degree, factor in resale when making their home improvement decisions. 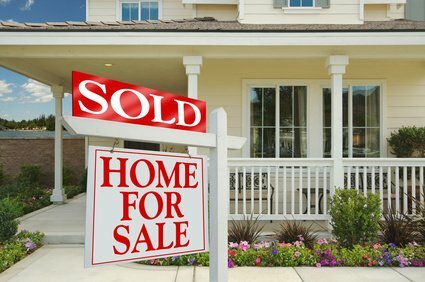 Both structural and decorative curb appeal is important when it comes time to sell a home, bringing in a larger number of prospective buyers and making it more likely that they will make the purchase. So don’t let budget constraints keep you from improving the appearance of your home’s exterior. There are many low-cost changes that can be made that have a big impact on how your home looks. Whether you’re making these changes to enjoy for yourself, or to make your home more marketable, the summer is a great time to get outside and focus on curb appeal. Our bodies and homes are exposed to allergens at every turn. Each and every day our bodies fight an uphill battle to keep these invaders out. Give your body a break by taking a few precautionary steps. One of the biggest culprits of allergens is fabric, including the carpets under your feet. If you are a true allergy sufferer you’d be served well by upgrading your home to hard surface floors such as hardwoods, laminate, polished or stained concrete, or tile. Carpets have a way of holding on to dust, mites, and dander. Hard surfaces on the other hand can be wiped clean. If you are committed to carpet it’s time to step up the cleaning routine! Use a vacuum with a HEPA filter and opt for natural fiber carpets, such as wool. For the rest of your fabrics, choose washable curtains, blankets, and throws. If you have a front-loading washer or dryer you may even have a “allergen” setting. This particular setting uses very hot water that removes 99.9 percent of allergens, such as pet dander. For those bedding items that can’t be washed on a regular basis arm them with dust-mite covers. These pillow and mattress covers can be bought online or at your local bedding store. Allergens also circulate through your air. If you need proof just shake out a blanket that is backlit by sunlight and watch for all those lovely floating particles. Air filtration systems can be godsends when it comes to allergy. Be sure to change filters (in your regular system as well) and use HEPA filters when possible. To keep extra allergens out, be sure to close all of your windows during high pollen days and season. Finally, be on watch for moisture. Kitchen and baths can be breeding grounds for mold, which is a top allergen for many people. Mold thrives in moisture rich environments, such as around tubs, sinks, and refrigerators. Clean your fridge regularly and dispose of old or moldy food. Keep water from standing around sinks and tubs and apply extra caulking where needed. Allergens are all around us, but take a few easy steps to protect your arm and your pains will be eased this allergy season!